The National Snow and Ice Data Center (NSIDC) is part of the Cooperative Institute for Research in Environmental Sciences (CIRES) at the University of Colorado Boulder. 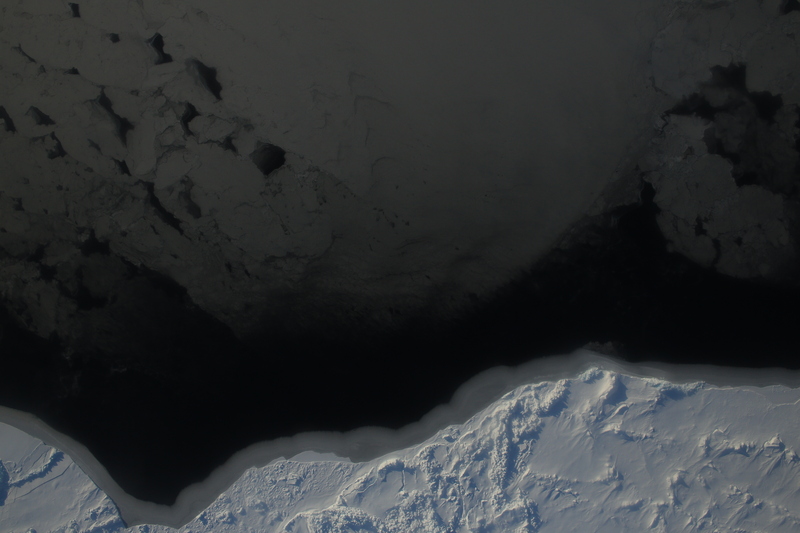 NSIDC scientists provide Arctic Sea Ice News & Analysis content, with partial support from NASA. 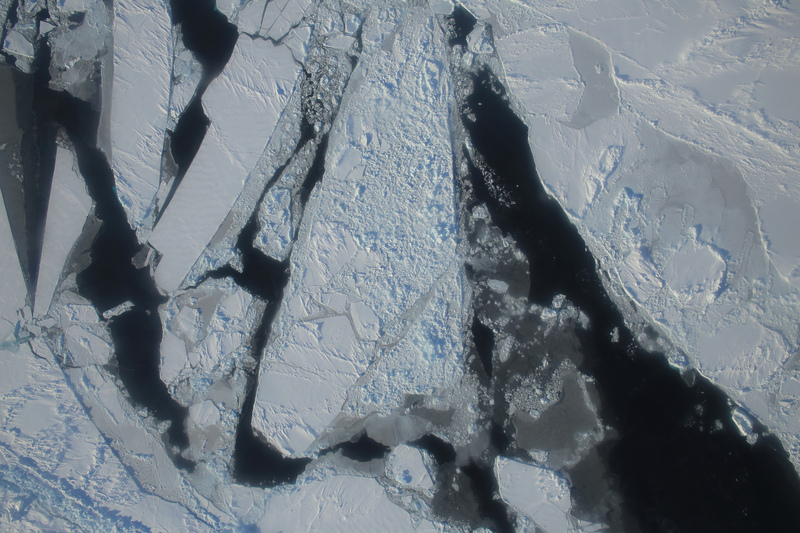 BOULDER, Colo, March 28, 2016—Arctic sea ice was at a record low maximum extent for the second straight year, according to scientists at the National Snow and Ice Data Center (NSIDC) and NASA. Sea ice extent over the Arctic Ocean averaged 14.52 million square kilometers (5.607 million square miles) on March 24, beating last year’s record low of 14.54 million square kilometers (5.612 million square miles) on February 25. Unlike last year, the peak was later than average in the 37-year satellite record, setting up a shorter than average ice melt season for the coming spring and summer. This year’s maximum extent is 1.12 million square kilometers (431,000 square miles) below the 1981 to 2010 average of 15.64 million square kilometers (6.04 million square miles) and 13,000 square kilometers (5,000 square miles) below the previous lowest maximum that occurred last year. This late winter, ice extent growth in the Arctic has been sluggish. “Other than a brief spurt in late February, extent growth has been slow for the past six weeks,” said Walt Meier, a research scientist at the NASA Goddard Space Flight Center. Meier is an affiliate scientist at NSIDC and is part of NSIDC’s Arctic Sea Ice News and Analysis team. 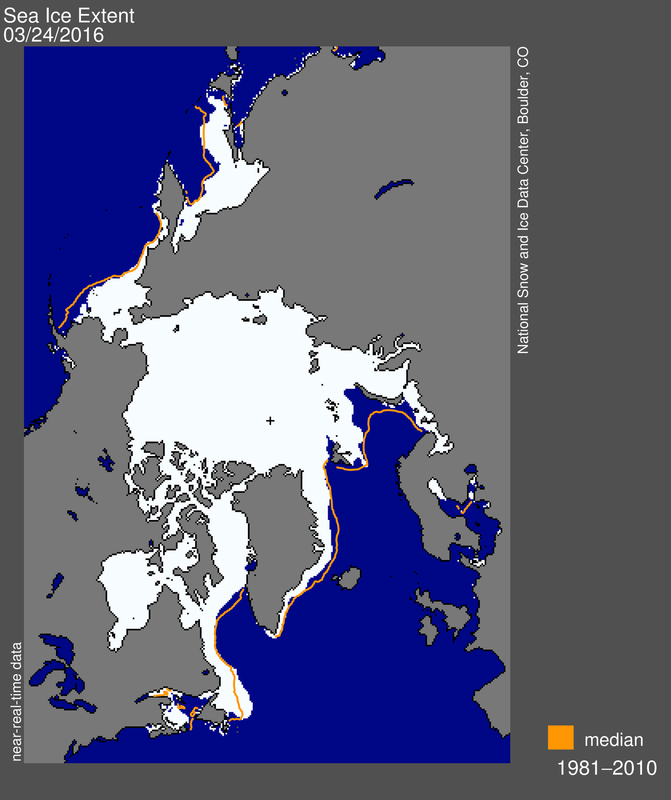 To read the current analysis from NSIDC scientists, see NSIDC's Arctic Sea Ice News & Analysis. 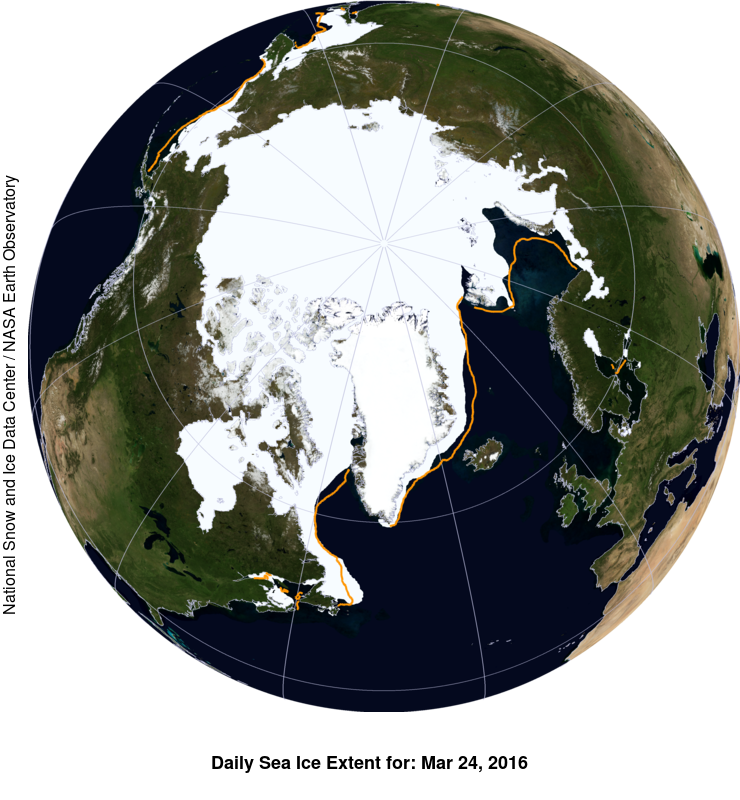 For more about Arctic sea ice, see NSIDC's Arctic Sea Ice 101. 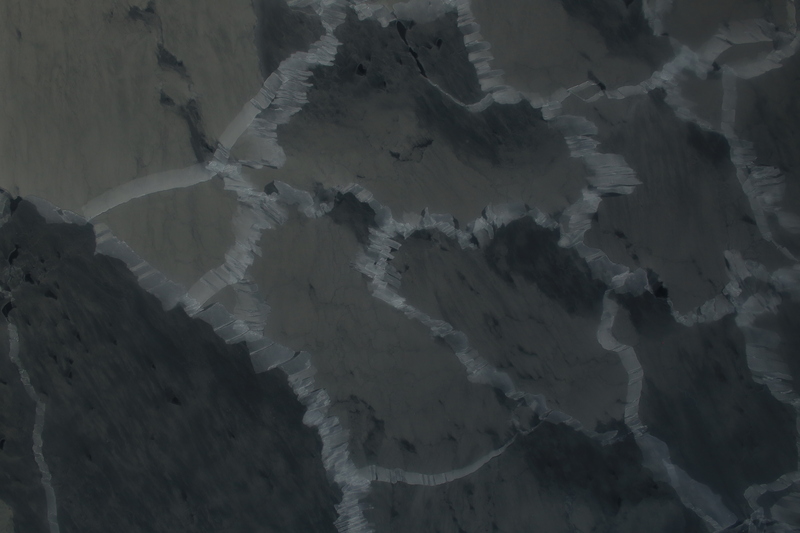 See the NASA release here. View the NASA animation here.